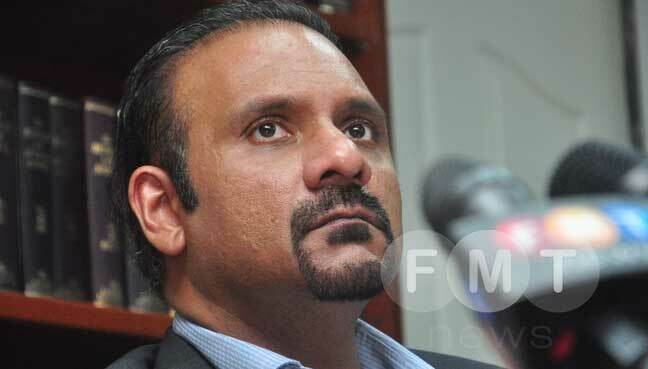 KUALA LUMPUR: Bukit Gelugor MP Ramkarpal Singh today objected to Dewan Rakyat Speaker Ariff Md Yusof’s decision to let Kinabatangan MP Bung Moktar Radin off with a warning for using profanity in the house. Ramkarpal said while he welcomed the speaker’s ruling, it was only a “slap on the wrist”. He said he had been booted out of the house on the first day of the sitting for using the word “gangster”. “I am concerned because what was said has exceeded the limit. No doubt he (Bung Moktar) retracted his words, but even the speaker would not repeat such words. That is how serious it is. “He said it not once, but twice,” he said in the Dewan Rakyat today. 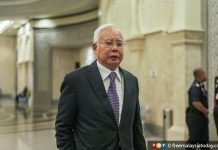 He was referring to Bung Moktar’s outburst in the Dewan on Tuesday, when he shouted “F*** you” after Willie Mongin (PH-Puncak Borneo) asked if the Kinabatangan MP had gone to a casino. Bung also accused Willie of having drinks with prostitutes. Ramkarpal said Deputy Speaker Nga Kor Ming had earlier told the floor that a ruling would be made by the speaker. “The deputy speaker reminded everyone not to run away and to remain in their seats. But he is nowhere to be seen. I appeal for action to be taken,” he said. He said this showed that Bung Moktar was not serious about retracting his words. Ismail Sabri Yaacob (BN-Bera) then reminded Ramkarpal that he had been booted out after refusing to apologise for using the word “gangster”. “But Bung Moktar retracted his words,” he said. He added that RSN Rayer (PH-Jelutong) had also used the words “kepala bapak”. “That was also impolite. Maybe in his culture it is not rude, but for Malays it is rude. “Provocation makes people angry. It can be used as a defence in court,” he added. Ismail also said if someone were to accuse Rayer of eating beef, he would get angry too. 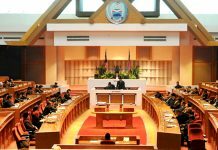 The speaker earlier made a ruling that he would take stern action against Bung Moktar if he repeated his behaviour. 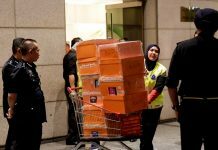 He also told other MPs to follow the standing orders of the Dewan Rakyat to guard the good name of the house.